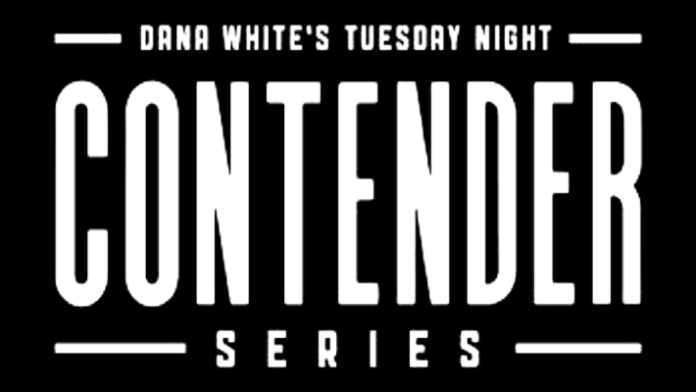 Week three of the new season of Dana White’s Tuesday Night Contender Series is set to get underway. Tonight (June 26), another edition of DWTNCS (see last week’s results here) will take place. The action begins at 8 p.m. ET and it’ll air live on UFC Fight Pass. In the main event, Valentina Shevchenko’s older sister Antonina will clash with Jaimee Nievera. Also featured on the card will be a battle between lightweights Te Edwards and Austin Tweedy. In total there will be five fights. The other bouts include Josh Parisian vs. Greg Rebello, Jamall Emmers vs. Julian Erosa, and Tim Caron vs. Jordan Williams. Both Emmers and Rebello have been standouts for Legacy Fighting Alliance and CES MMA, respectively.